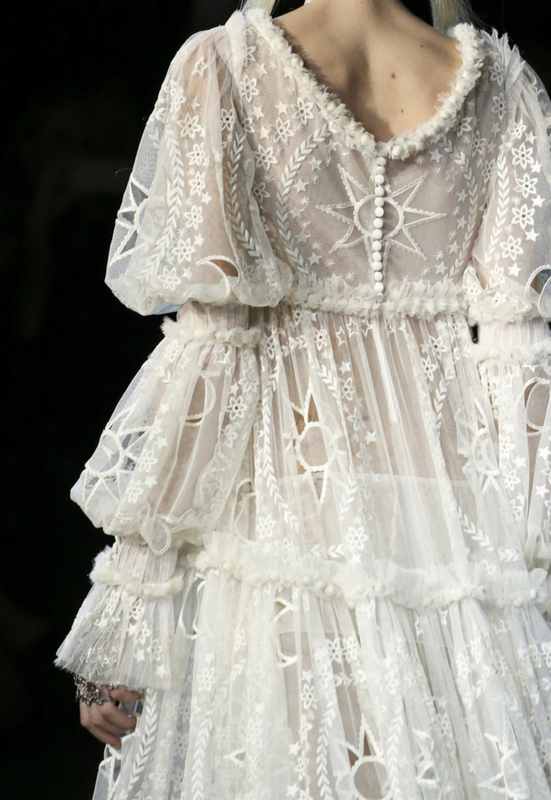 Like most things wedding related, it's now up to you how traditional you choose to be. I am a stickler for etiquette so personally, I loved all the elements of the wedding stationery suite, save the dates included. Save the date cards are what you send out first, post-engagement party. As the name suggests, they give your intended guests the date you have locked in and usually state the town or city that the wedding will take place. This allows people to begin to make plans and take the time off if need be. 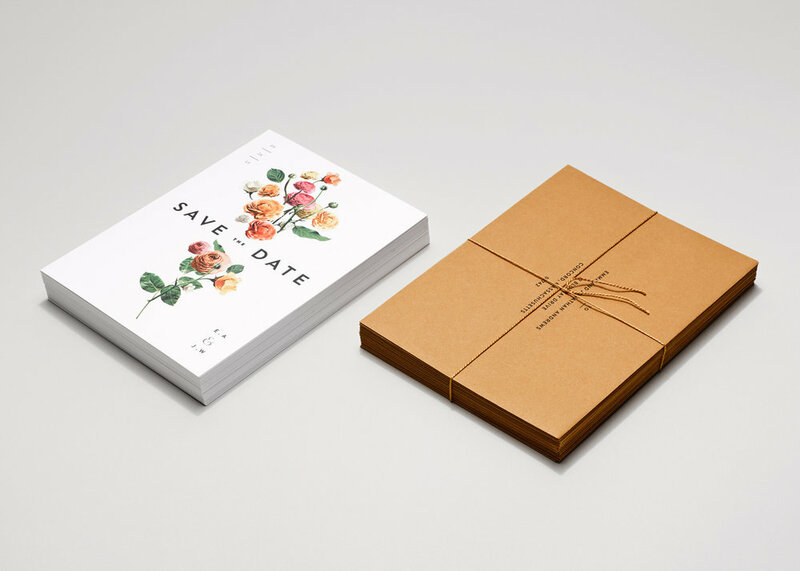 When to Send Save-the-Date Cards? Traditionally these can go out about 6-10 months prior to the wedding date, if your date is a holiday, mid week or you are planning to marry abroad, I would recommend getting these out ASAP. The only downside to sending them too early is people tend to park them for a later date forgetting to put it in their calendar! If you are unsure about whether or not, you want to invite someone, don’t send a save the date. What do I write on a Save-the-Date Card? 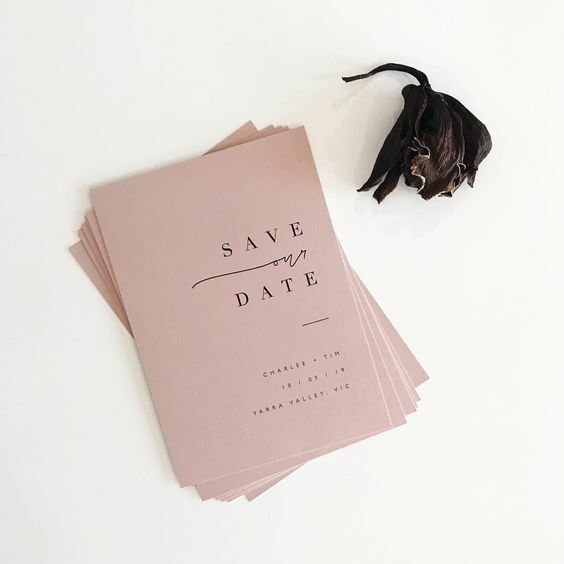 If you have plans set, then you can add details to your save the dates, however strictly speaking, they don’t need to include the venue or time, this gives you more time to firm up the details while still letting people mark the date. It pays to mention that a “formal invitation is to follow” so people know more details are coming and you don't get a flood of questions. Remember, these are setting the tone for the wedding and should tie in with the rest of the stationery suite. Is the wedding going to be a low key affair or black tie? The wording, style and execution should allude to your choices, the save the dates are a little wedding teaser after all. I personally like to err on the traditional side when addressing stationary particularly to show respect to older guests. It pays to use correct titles when you can. Its also important to address these to exactly the guests you are inviting. Anything that is addressed specifically by name indicates that person only and leaves less room for confusion. If you want to allow a plus one make sure you say “Ms Carrie Bradshaw and Guest” so she knows she can bring someone. Side Note: As a guest receiving an invitation, accept it gracefully and never ask to bring a plus one who wasn’t specifically invited by name or indicated with "and guest". As I’m sure you are learning quickly, weddings are special and expensive, every additionally person makes a difference. 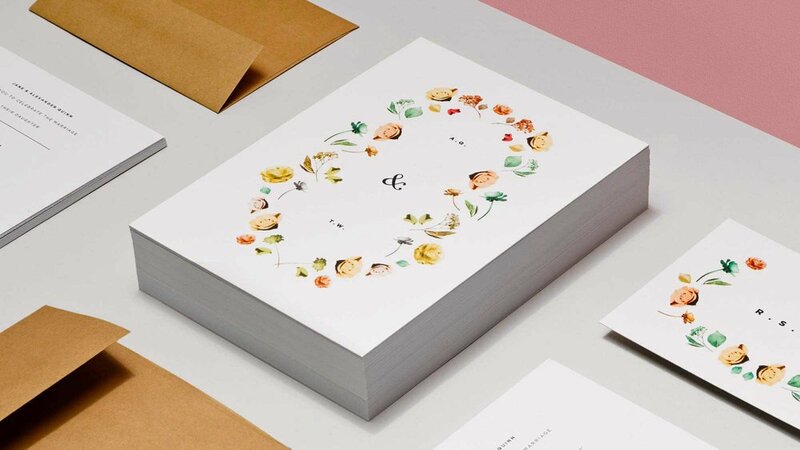 If money and time allows, a printed save the date is lovely, however, cutting these out is a great way to save a few hundred dollars and you can still send beautiful printed invites later. If you are sending them via email just make sure you collect the physical addresses for the invites at the same time so you don’t have to ask people twice. Better yet, request the addresses as a reply. Traditionally a save the date doesn’t require a reply so your RSVPs won't come until later. However, as you speak to people do request those who you think may be unable to come let you know early so you can invite those who may have missed out the first round. Unfortunately, an A and B list is a reality for most people as venue and cost often dictate the numbers. Make sure you are clear on the names, location and date and include additional information like whether or not children are invited so people can make arrangements. You can also add information about whether the event will be formal, beachside, intimate etc. This is not the time to include registry details, it is, however, a good idea to give these details to your bridal party and maybe your mum or whoever you think people will know to ask. People will begin to ask and its good to be able to point them in the right direction. I prefer to not include times or venue on the save the dates as it leaves it open for you to change bookings and avoids sending out an edit is plans evolve. If you have out of town guests, it is good to give an indication of any available accommodation or suggestions for hotels to look at. If you have a number of out of town guests, you could always help to hire out an airbnb or two close to the venue. The save the date is a placeholder so make sure people know there are many more details to follow! Make them fun! You’re getting married, put some personality into these and get people excited.